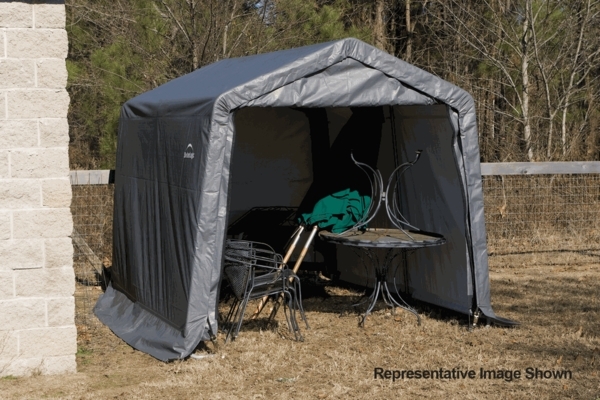 The peak style portable shelter is perfect for protecting and storing your outdoor supplies, autos, trucks, and yard equipment. The frame is tubular steel and is exceptionally strong. The framing steel is coated with a Du Pont thermoset backed on powder finish. This finish will prevent rust, corrosion, chipping and peeling. The polyethylene cover is kept tight and smooth with a ratchet Tite Tension system. 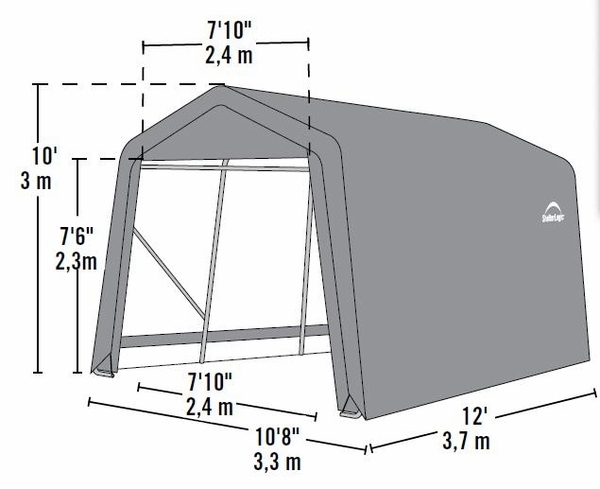 The shelter measures approximately 11 feet x 12 feet x 10 feet.